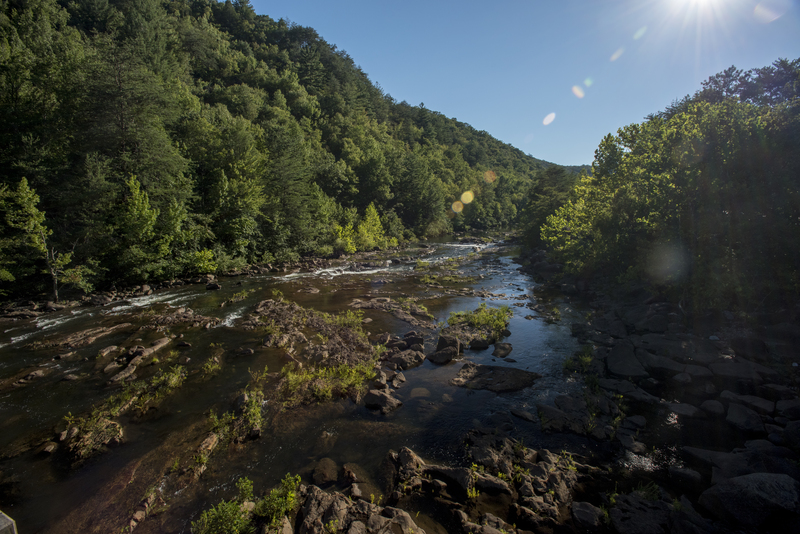 “Invasive insects and diseases pose both ecological and economic threats to our forest ecosystems,” says Qinfeng Guo, USDA Forest Service research ecologist. 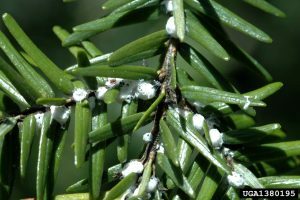 Recent research has shown that trees grown under sunnier conditions may be more likely to survive hemlock woolly adelgid infestations. Photo by Chris Evans, courtesy of bugwood.org. Guo is the lead author of a broad-scale study of U.S. forest data that examines the relationship between the number of native tree species and the number of nonnative forest pests. Across their native range, hemlocks are being lost to hemlock woolly adelgid, an invasive insect from Asia. Hemlocks are often found along stream banks, where they provide shade and keep water temperatures cool for fish species like brook trout. 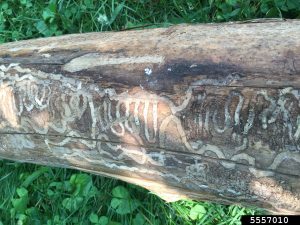 The nonnative emerald ash borer beetle has killed hundreds of millions of ash trees across the eastern U.S. The cost to treat, remove, and replace trees infected with the beetle is estimated at more than $10 billion. The research team includes Songlin Fei of Purdue University, Kevin Potter of North Carolina State University, Andrew Liebhold of the Northern Research Station, and Jun Wen of Duke University. Emerald ash borer has been found in 35 U.S. states and can cause damage in all 16 species of native ash trees. Photo by Elizabeth Benton, courtesy of bugwood.org. The scientists examined Forest Inventory and Analysis records of tree species collected across public and private lands. They combined these data with the Alien Forest Pest Explorer, a web tool developed by co-author Liebhold. Its database includes county-level records of nonnative forest pests. The researchers focused on 66 of the top nonnative invasive species – 51 insects and 15 pathogens. Together, these datasets describe where and how many tree species and invasive pest species co-exist. The study found a significant – but not simple, linear – relationship between tree diversity and pest diversity. The study suggests that facilitation and dilution are both occurring in a forest community. The importance of each, however, shifts with overall tree diversity. Further research is needed on how climate change may affect the geographic ranges of native tree species and thus potential habitats for future pest invasions. Photo by Lance Cheung, USDA. “Diverse plant communities may contain non-hosts as well as species that are natural enemies for potential nonnatives. Both of these can help land managers prevent the establishment of invasive pests – by making them work harder to find resources,” says Guo. The scientists hope that their results will inform and prioritize monitoring efforts for areas at greater risk for future pest invasions. For more information, email Qinfeng Guo at qguo@fs.fed.us. « Older Previous post: Can Southeastern Bats and Rock Climbers Share Cliffs?